Spark-S9, the new & cost effective “Transportable Computer Building Block” from SSI. Put it at the heart of your high-performance portable computer solutions. Designed for field and mobile applications! 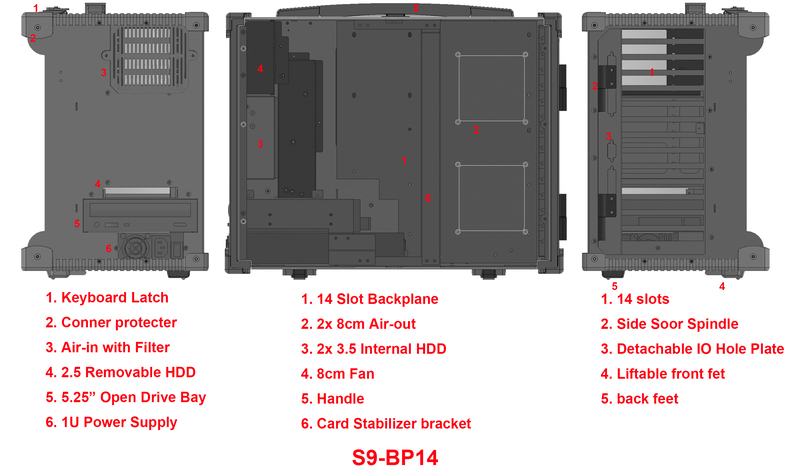 This portable computer chassis allows you to combine the latest in high-performance motherboards and add-in special function boards with a large display into a system that is compact and extremely rugged. It offers a cost effective solution to performance demanding portable computing applications. The system’s integrated LCD offers a high-resolution flicker-free visual environment that rivals tradition CRT monitors. 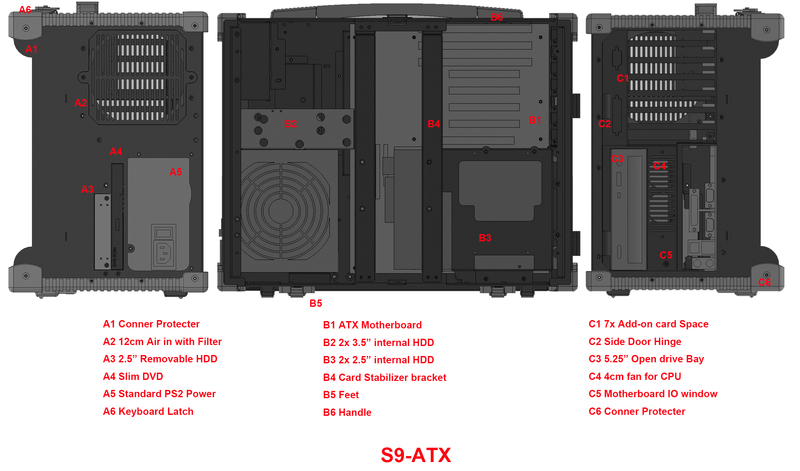 The Spark-S9 has the capability to accept a maximum of seven expansion cards (motherboard dependent) along with two 3½” Disk Drives, two 2½” Disk Drives, one 5¼” open Drive bay, one slim-type CD-ROM bay and one 2.5″ removable drive bay, offering expansion capability unmatched by any other portable system. The all-aluminium Spark-S9 chassis is the ideal solution for applications such as portable servers, network/communications testing, field data acquisition, remote field service, exploration, factory monitoring/automation, new technology demonstration, and much more. S9 has a double card retention system that holds individual add-on cards securely at two points, with an adjustable pressure mechanism ensuring that half and full-length cards are secure during transportation. Spark-S9 offers both single-LCD and 3-LCD solutions with sizes range from 15″ to 17″ and 17.3″ wide screen. Previous models of our trans-portable computers required special custom shape power supplies. With the Spark-S9 any standard desktop power supply will fit this chassis so you can meet the varying power requirements of different motherboards now and in the future.